One of the things I enjoy doing in my photography is looking for the unusual in the common. Water (dew, rain, ice, etc.) often adds interest to a photo and sometimes can become the star of the show. 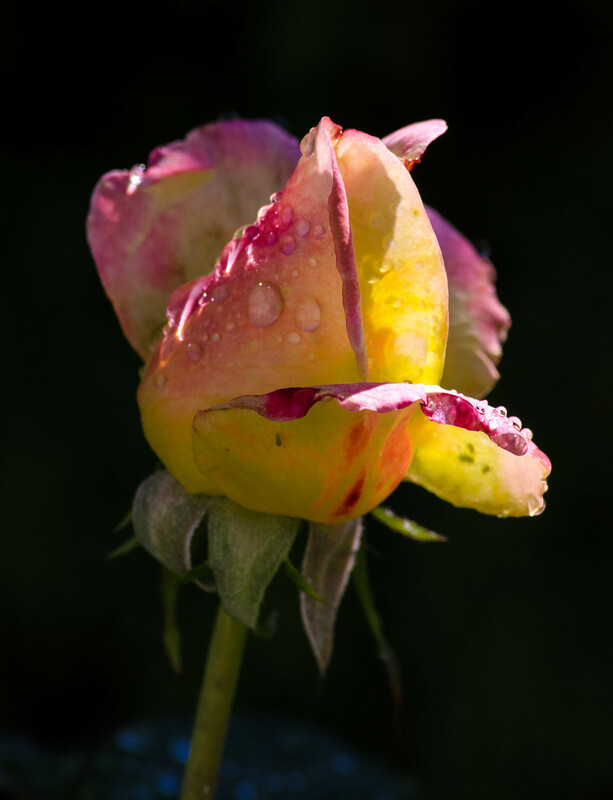 This rose, while very beautiful, has a heightened attraction because of the lingering morning dew. 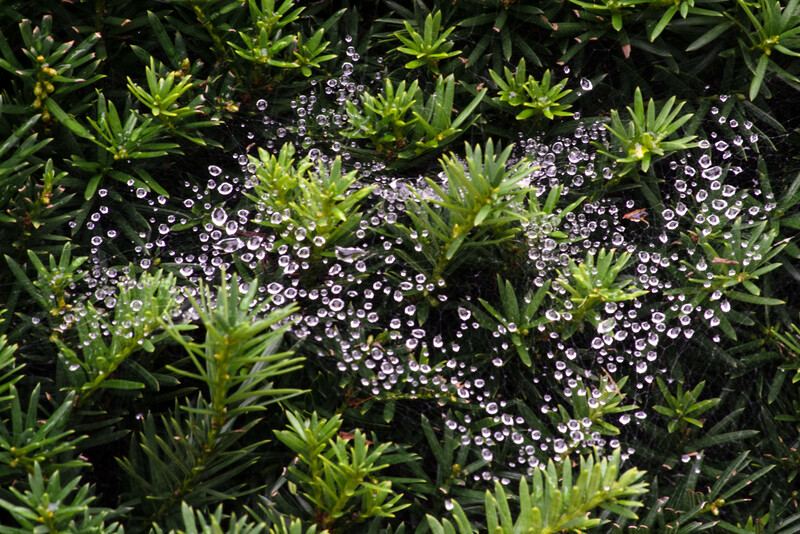 The spider web in this evergreen bush becomes the stage for a dazzling dew dance. 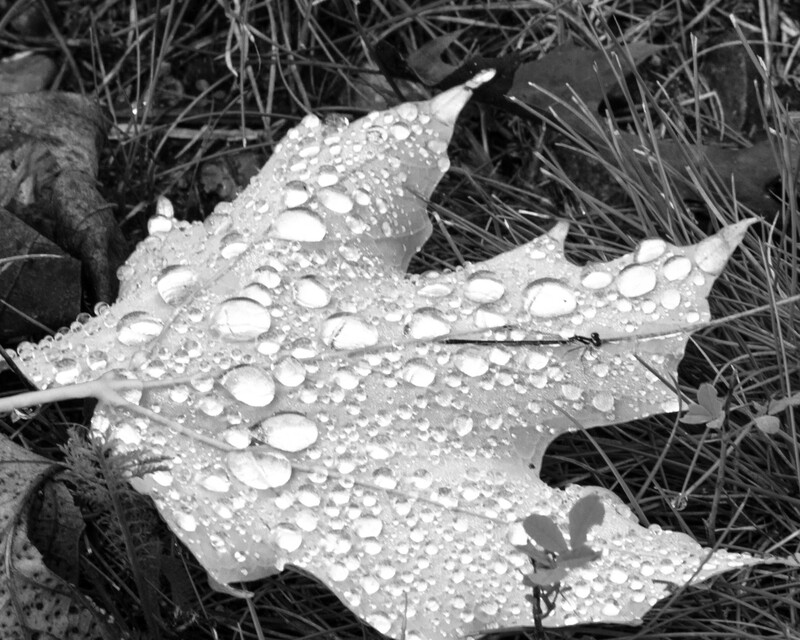 This black-and-white photo of the underside of a fallen leaf would be rather boring without the lingering raindrops. 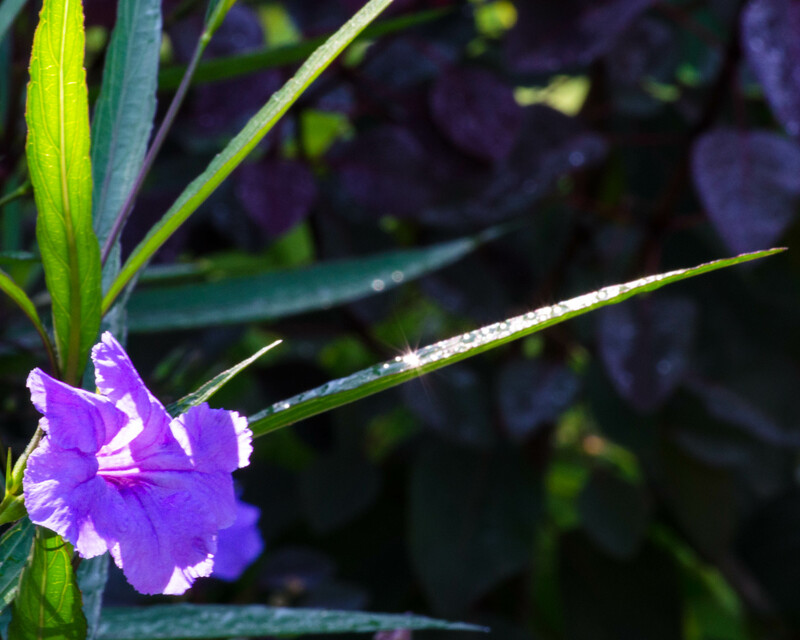 Occasionally the reflecting water will hit your lens in such a way as to create a dew diamond. The twinkling star-like image in the center of the picture was a bit of luck, but luck favors the person willing to look for dew diamonds. Happy dew diamond hunting.